Attorney Linda Nutting Cummings focuses her practice on divorce, family law and criminal defense. She is a strong advocate for her clients, and she can vigorously protect your best interests in court. She offers legal counsel to clients in Andover, North Andover, Lawrence, Methuen, Haverhill, North Reading and Middleton, and throughout Essex, Middlesex and Suffolk counties. Families struggling with divorce, child support and related issues are often facing painful emotions and frightening financial concerns. If your family is in crisis, you need a compassionate listener and a zealous advocate to protect your interests — you need the skill and experience that Attorney Cummings offers. Whenever possible, Attorney Cummings will assist you in reaching a workable negotiated agreement with your spouse. When an agreement cannot be reached, however, Attorney Cummings will be an aggressive advocate in court and will not allow your spouse, or your spouse's attorney, to take advantage of you. Attorney Cummings spent seven years as a Massachusetts Assistant Attorney General. In addition, during her 20-plus years of experience practicing law, she also served in several other state prosecution agencies throughout Massachusetts. Further, Attorney Cummings was the lead prosecutor on many high-level organized crime, narcotics and white collar crime cases. 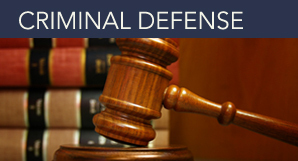 She has the courtroom experience and criminal defense skills to take a strong stand for her clients. Also, she has the passion to vigorously defend her clients' rights no matter what crimes they are accused of committing. For more information, please visit the Practice Areas overview page. Attorney Cummings' focus on a targeted range of legal practices has allowed her to obtain a high level of expertise. She prides herself on her flexibility to create workable legal solutions. Linda can also adjust her approach when the circumstances of a case change. The Law Offices of Linda Nutting Cummings is located at One Dundee Park, Suite 1, Andover, Massachusetts. 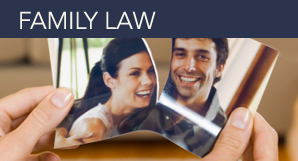 If you are facing criminal charges, or if your family is struggling with divorce or other family law issues, please contact the law firm online or call 978-470-3535 today.